* These water-based dye inks are both fade resistant and waterproof when dry. 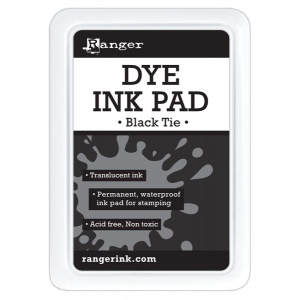 The cushioned, raised felt pad is the best surface for inking up stamps of all kinds. Color palette coordinates with the Ranger Acrylic Paint Dabbers. Also available in 1/2 oz. re-inkers.